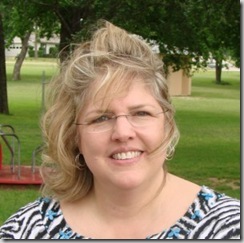 You are here: Home / Recipes / Crock Pot Recipes / Crock-Pot Beef Stroganoff! 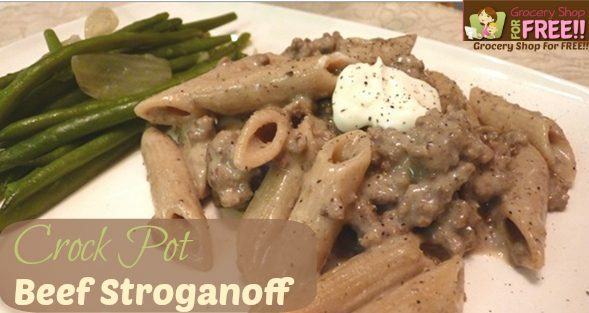 Susan is back with a new recipe Crock-Pot Beef Stroganoff! I have been wanting to make my mother’s Stroganoff lately. My mom was an awesome cook and this was in the rotation when I was a child. It is one that I learned to cook really early in my marriage. My Mom uses round steak. The other night, I just had to use what I had on hand……which was ground beef. I love this version anyway. As you can see, I list low fat ingredients…..until you get to the whipping cream. What can I say? It is so worth it but if you don’t have any, use FF Half and Half. What….none of this either? No worries. Just add a little more milk and/or sour cream and if you want to make it richer, add a little bit of butter. Saute the onion in the butter for about 10 minutes or until a little brown. Set it aside. Brown the ground beef and add the onions back into it. Add the Mushroom Soup, water, Worcestershire and spices. Put it all in the Crock Pot and let it cook for about 2 hours. Add in the milk, cream and sour cream. Let simmer for another 5 minutes. While this is going on, boil your water and cook your pasta. I used whole wheat. After it is cooked, add it into the Stroganoff and heat it together. Serve with a tsp or more of sour cream on top. I wish I had some right now!